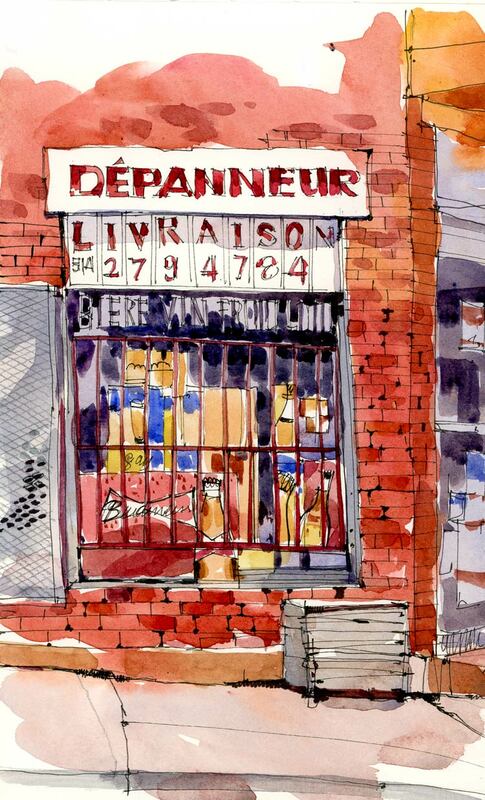 There are so many great corner stores in Montreal and it’s hard to believe that I haven’t sketched any of them yet. I love the wooden crate by the door — conveniently located as a place to rest your feet and watch the world go by — but it’s too bad no one was sitting there during my sketching time. I thought that this might be the perfect day to post a sketch of a “dep” since they will no doubt be doing a brisk business in different vintages of beer before the hockey game tonight. In Arkansas we’d call it a “beer joint”. I guess every region has a name for the local corner store. Shari, what do you use to put in the black lines in your paintings? I love the look. I started doing watercolors after 30 years away from painting and I am learning so much from your blog. I’m so glad I found it. Glad you found the blog Pamela! I use a Sakura Micron 005 pen for the black lines. It’s really fine but it wears out really quickly. Enjoy your return to painting!! What wonderful ideas you have presenting. This is my first time to view your sketchbook and it is so refreshing. I’m retired after more than 30 years in the hobby ceramics field. I’m just getting back into the swing of creating with my brushes and starting to play with pens. I’m glad you found me Barb. 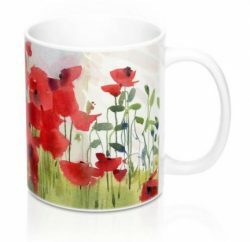 I had taken a long break from painting too when I started my blog. I’m really happy I started again and I’m sure you’ll get some pleasure from it too!